Destination: 3 Cities in Kathmandu , Nagarkot, Dhulikhel, Trishuli Rafting, Royal Chitwan National Park , Lumbini, Tansen, Pokhara and Gorkha. Day 02: Temple and Nature Tour. Visit Pashupatinath the holiest Hindu Shrines dedicated to the Lord Shiva as incarnation of Pashupati Lord of animals. Baudhanath The largest Bhddhist Stupa of its kind, built in 5th century and dedicated to the memory of Buddhist demi-god. 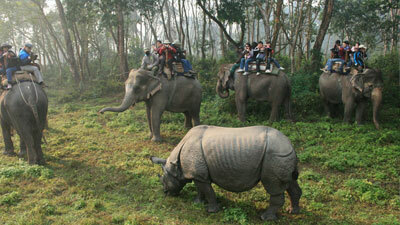 Gokarna Safari is located 10km east of Kathmandu . Wildlife activities can be seen from on elephant ride. Swayambhunath visit 2500-year-old 2nd Holiest Buddhist Shrine. Overnight hotel. Day 03: Visit three Queen Cities: Kathmandu – The Capital City, visit Hanuman Dhoka Durbar Square , The Living Goddess "Kumari". Patan – The City of Fine Arts, 5km. south of Kathmandu . Bhaktapur – The City of devotees, 16km east of Kathmandu . 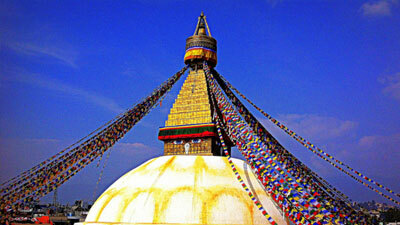 Visit Durbar Square and ancient palace of Malla Kings. Drive back to Kathmandu . Overnight at resort. 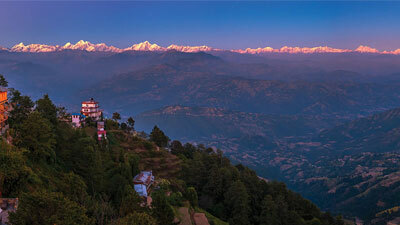 Day 04: Sunset & Sunrise Tour: Nagarkot 2175m 36km east of Kathmandu provides a grandstand panorama of the Himalaya . You can see five of the worlds' tallest mountains Everest 8848m, Lhotse 8516m, Cho Oyu 8201m, Makalu 8463m, Manaslu 8163m. and many other peaks. The snow peaks look especially gorgeous during sunset & sunrise. Overnight at hotel. Day 05: Drive back to Kathmandu . Rest of the day free for tour preparation. Day 06: Early in the morning drive from Kathmandu to rafting stating put in point. Breakfast, briefing and start raft. Lunch on the riverside. Drive to Chitwan National Park. Day 07: Full day jungle activities inside the National Park and overnght at resort. Day 08: Breakfast, drive about 170km to the birthplace of Gautama Buddha, Lumbini. It is situated near southwest border with India and overnight at hotel. 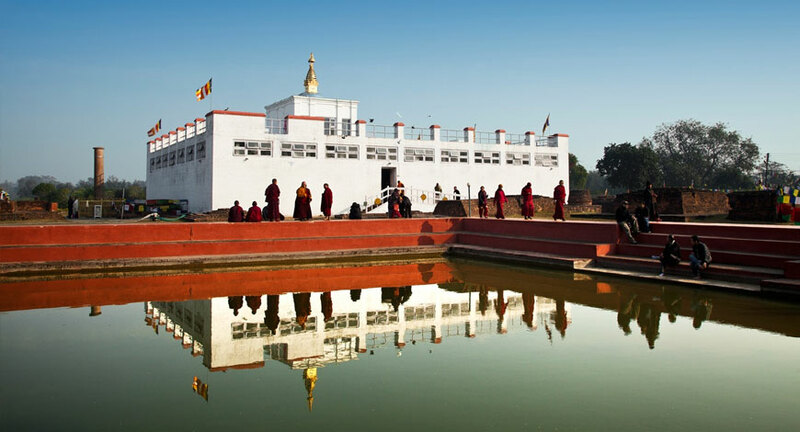 Day 09: Full day sightseeing tour to Lumbini and overnight at hotel. Day 10: Today we leave to Lumbini and continue drive to Tansen at an elevation of 1371m. and overnight at hotel. Day 11: Tansen is one of the most scenic places in Nepal . Perched on top of the area's highest hill it offers views of the entire Himalayan range on the north undisturbed natural charms of Srinagar and a host of temples and historical places down in the town area and overnight at hotel. Day 12: Drive out from Tansen to Pokhara the most picturesque spots and a pretty Himalayas Valley and overnight at hotel. 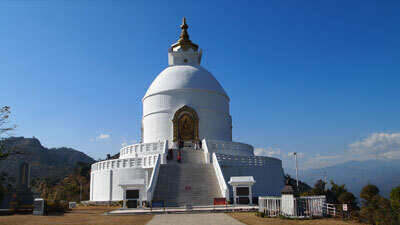 Day 13: Full day Pokhara sightseeing tour and overnight at hotel. Day 14: Drive to the ancient township of Gorkha situated about 4,800ft. above the sea level. It takes few hours drive from Pokhara and overnight at hotel. 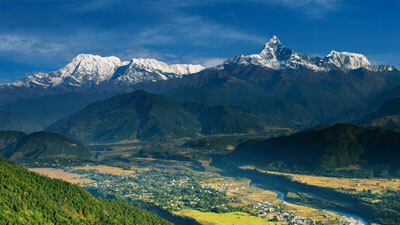 Day 15: Half day sightseeing tour in Gorkha and lunch and drive back to Kathmandu and overnight at hotel. Day 16: Half day sightseeing in Kathmandu and in the evening a farewell dinner. Day 17: Drive from hotel to the airport for the final departure.